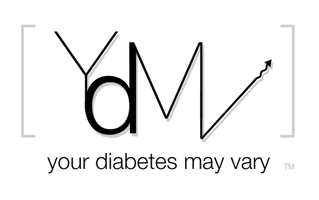 Your Diabetes May Vary: Anyone know how this works? JDRF is in an Industry Discovery and Development Partnerships with MarcoGenics for the development of Type 1 autoimmunity treatments. Now it looks like Lilly is buying out the rights to the treatment. ROCKVILLE, Md., and INDIANAPOLIS, Oct 18, 2007 /PRNewswire-FirstCall via COMTEX News Network/ -- Eli Lilly and Company (NYSE: LLY) and MacroGenics, Inc. today announced that the two companies have entered into a global strategic alliance to develop and commercialize teplizumab, a humanized anti-CD3 monoclonal antibody, as well as other potential next generation anti-CD3 molecules for use in the treatment of autoimmune diseases. As part of the deal, Lilly will acquire the exclusive rights to the molecule. Teplizumab is currently being studied in the PROTEGE trial, a global pivotal Phase II/III clinical trial for individuals with recent-onset type 1 diabetes. MacroGenics will continue to oversee the PROTEGE trial. So where does that leave the JDRF partnership?